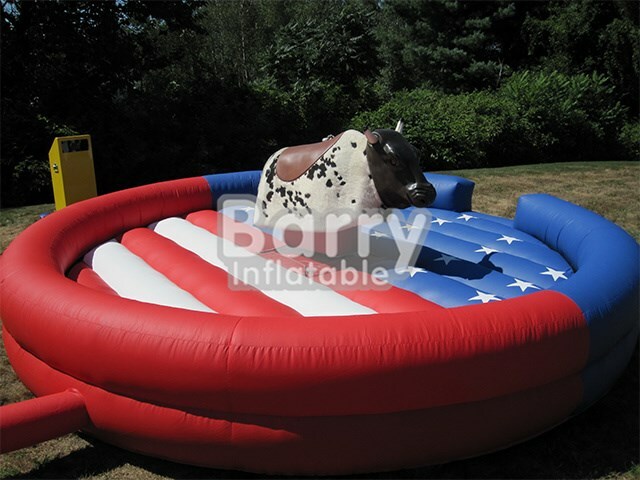 Inflatable Sports - mechanical bull - China Competitive Price Amazing Red Inflatable Mechanical Bull For Sale BY-IS-008 - Guangzhou Barry Industrial Co., Ltd.
Yee-Haw! 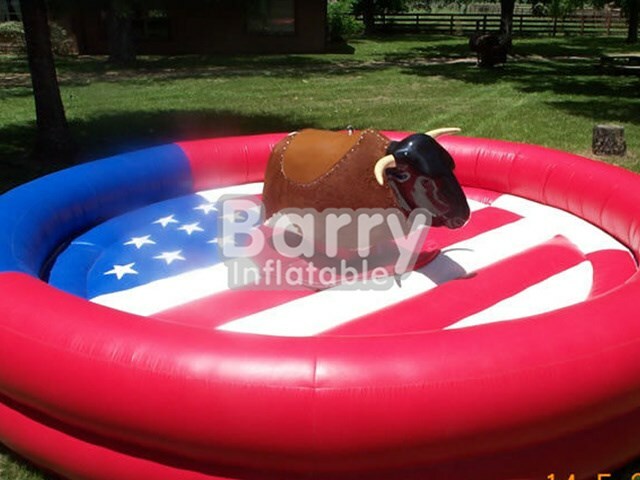 The Mechanical Bull is a huge hit for party rentals of all kinds! From college events, to corporate functions, after proms, and church festivals, the Mechanical Bull is unique enough to draw a crowd, and fun enough to entice participants to try. 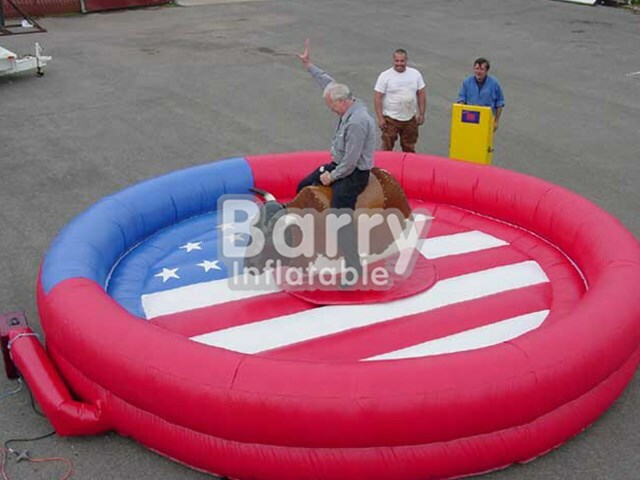 Safety is definitely in mind when it comes to the design of A&S Play Zone’s Mechanical Bull rental. 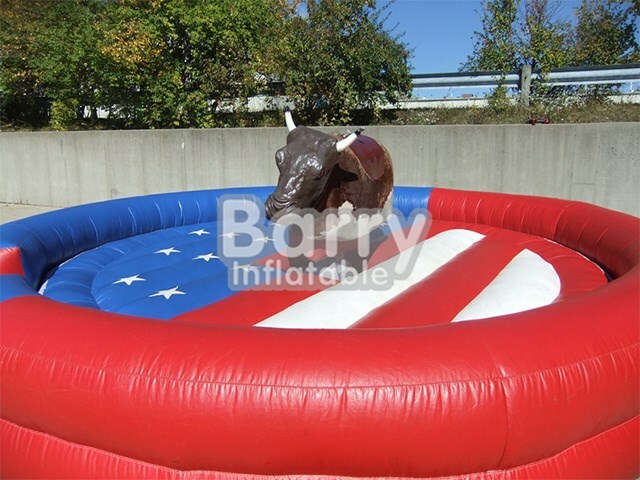 Surrounding the realistic bull is an inflatable matt, to cushion any falling riders. The design itself is unique, featuring a very patriotic American flag. Before a participant hits the blowup mat, the wristband that controls the swinging, spinning, bucking bull will cause the ride to stop moving, so it does not risk hitting the participant while the get off of the inflatable mat. A new feature that is present on this Mechanical Bull rental and A&S Play Zone’s Premium Mechanical Bull Rental is the automated sensor that will make sure participants are safe. This party rental item will be taken to the Columbus, Dayton, and Cincinnati for parties of all sorts, and the rental does include a trained bull operator to run the machine. Do you think you can tame the Mechanical Bull? Buy it for your next party to find out! 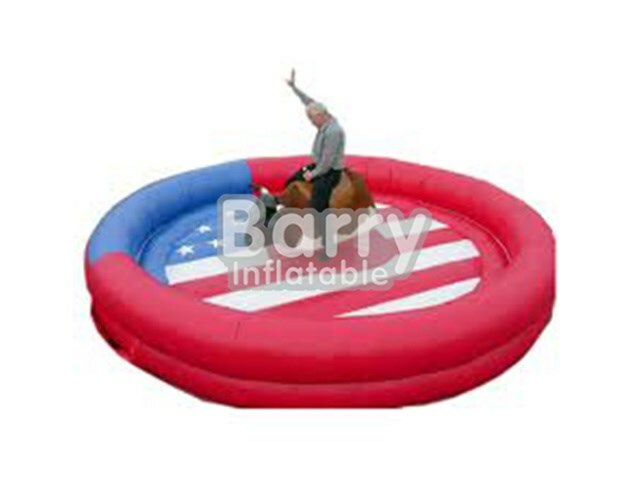 Moreover, each Rodeo Bull comes with a convenient handle and wheels. Notably, these can be linked to the bull for transportation convenience. This gives the user greater control in moving/transporting the bull over uneven surfaces.